Each year we team up with a new group of exceptional singers and song leaders. These staff members share their skills through structured and unstructured interaction during the weekend. Their bios are below. You can find past schedules and workshop descriptions on the Schedule page. Susan fell in love with Appalachian ballads after hearing the singing of Jean Ritchie, Sheila Kay Adams as well as Hazel Dickens in concert with Ginny Hawker and Carol Elizabeth Jones. The old sounds and stories resonate deeply with her, and she has centered the past fifteen years in large part around learning and living with the ballads. ​Her solo performances present a dynamic spectrum of traditional folk music including unaccompanied ballads as well as songs with clawhammer and fretless mountain banjo, dulcimer and guitar. ​In 2004, she left her native Cincinnati for western North Carolina setting out to learn more about this region that has sustained a beautiful unaccompanied singing tradition. While pursuing a Master’s Degree in Appalachian Studies, she sought out ballad singers of an older generation who were lesser known. Susan learned directly from several amazing singers including Hazel Rhymer, Pearl Hicks, Zora Walker and Rosa Hicks who were all raised in the 1930s. With grant support from the North Carolina Arts Council, she produced On the Threshold of a Dream, a CD of her field recordings of traditional ballad singers with a booklet that explores music in the context of these singers’ lives. Her solo album Hollerin’ Girl (2015) includes ballads, hymns, and folk songs from the Blue Ridge Mountains as well as originals. Susan was the director of the Alleghany Junior Appalachian Musicians program in Sparta, NC, and currently teaches at educational and community venues. Current projects include composing folk and neo-traditional songs and co-producing The Mountain Minor (forthcoming), an Appalachian music film. Susan is dedicated to sharing and passing on song and music traditions that draw the listener into a scene where music making was once a part of daily life. She lives with her family in western North Carolina. Her favorite place to sing is in the open air, preferably in the woods. Below Susan sings "There Was an Old Man from the North Country," a variation in the "Two Sisters" family of songs. 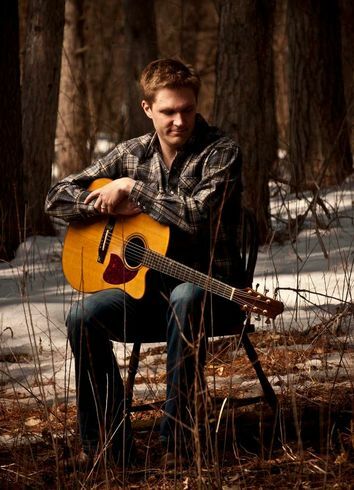 Brian Miller started playing Irish music as a 17-year-old in his decidedly non-Irish hometown of Bemidji, Minnesota. His first experiences with the music came through singing and playing guitar with The Gaels, a band he started with two friends who, like him, had no experience with Irish music. From that rather obscure beginning he has risen to be one of the busiest Irish traditional music performers of his generation living in the US. He acquired a deep understanding of the Irish tradition through many mentors in the Twin Cities including County Derry guitarist and singer Daithi Sproule and Co. Offaly accordion player Paddy O'Brien. He has also spent a lot of time in Cork, Ireland where he studied Irish music in college. Brian has performed across North America and in Ireland with various groups including Irish Music Awards’ 2009 “Top Traditional Group” Bua, The Máirtín de Cógáin Project and the Two Tap Trio. He has been featured on MPR's All Things Considered, CBC Radio's Canada Live, and Ireland's RTE television, RTE radio and TG4 television. He has been a guest lecturer on the Irish song tradition at University College Cork and he teaches flute, whistle and guitar at the Saint Paul based Center for Irish Music. Brian has earned considerable recognition for his work with the Irish-influenced music of Midwestern lumberjacks including the Folk and Traditional Arts Grant and two Artist Initiative grants from the Minnesota State Arts Board. He was also a 2014 recipient of the Parsons Fund Award from the American Folklife Center at the Library of Congress. Listen to Brian's rendition of a "Lovely Minnesoty", adapted from several versions of "The Beauty of the West" with text and melodies collected between 1857 and 1950. ​​Martha Burns sings old-time American folk songs the old-time way. Heart songs, cowboy songs, tragic ballads and comic ditties – songs from the mountains and songs from the range. Songs from the earliest period of recorded country music and songs never sung in a studio. Her haunting voice is perfectly suited to her old-time repertoire. An accomplished guitarist, Martha’s accompaniments bring out the pith in a song. She has been singing and playing American folk music since Hoover was in the White House — well, almost — and has performed throughout North America and abroad. 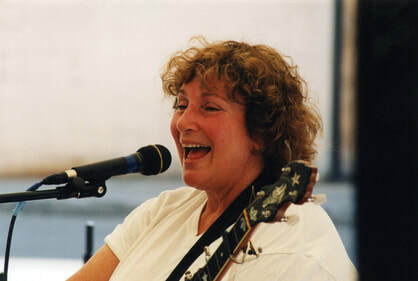 Martha grew up in Greenwich Village during the height of the Folk Revival, and gained much of her education in folk music on Sunday afternoons in Washington Square Park. She began performing in the early 1970s. In the mid- to late-eighties she paired up with fiddler Allan Block, and then left music for a two-decades long foray into academia. She has written and published on music-related topics ranging from early American hymnody to female piano teachers before the Civil War. Her return to music and performing was consummated in 2014 with the release of Old-Time Songs. Martha sharing a Carter family classic at this summer's Indian Neck Folk Festival. Thomas McCarthy is an Irish traveller who comes from a long line of singers and musicians. His style of singing is an ancient one, passed down through his family over centuries, highly decorated and with an old style of warble or vibrato that has almost been lost to posterity. From his family he learned many fine and otherwise unknown versions of traditional songs. He comes from Birr in County Offaly, Ireland. He has an unforgettable voice and his performance has been described as “outstanding”, “a rare delight” and “profoundly moving." From a treasured aunt, he learnt many folk tales from Ireland, again with unusual variations, and also his warm, fireside style of telling them which has become popular with the children and teachers in the many different schools where he has worked. Thomas has held audiences spellbound at many folk festivals across Ireland, England and beyond. His first album “Round Top Wagon” was produced by influential Irish singer/songwriter Ron Kavana. His most recent CD “Herself and Myself” was described in reviews as “a precious multi-faceted jewel”, and is dedicated to his mother, Mary McCarthy, a fine singer who died nearly five years ago. Click here for Thomas McCarthy singing the ballad 'Donal Kenny,' which is known today only through his family. Sara Grey's lovely voice is often accompanied by her old-time style five string banjo frailing. Sara grew up in New Hampshire where she learned many stories from her dad. She lived in Scotland and England for 46 years and for the last several years has traced the migration of songs from the British Isles to North America. The Reverend Robert B. Jones, Sr. from Detroit, MI is grounded, not only in the blues, but in ethics, social justice, community and family. 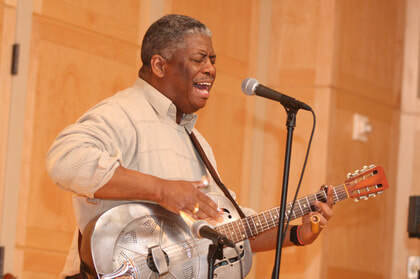 When you couple authenticity with wide-ranging talent--songwriting, storytelling, multi-instrumentalist, award winning educator, and an encyclopedic knowledge of the history of African American folk music, its players and styles, including blues, spiritual, and slave songs--you get the Reverend Robert B. Jones. 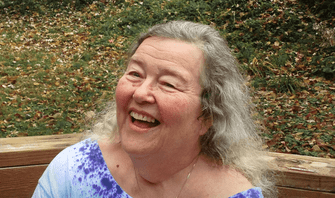 Lisa Null has been a mainstay and an inspiration for folk music fans in the DC area and on the national folk music scene for more than 40 years. She performs traditional folksongs from North America, Ireland, and Great Britain. She is a strong singer whose indomitable spirit shines through every song she performs. Lisa brings a deep, scholarly interest to bear on her material and has a background in folklore and history, both of which she taught at Georgetown University for several years. ​In addition to being a performer and teacher, she also is a “song-catcher” who traveled to Ireland to help record Seamus Ennis, the great folklore collector and master of the Irish bagpipes. Ennis urged her to explore the wonderful but neglected trove of American-Irish traditional song, which has formed an important part of her repertoire ever since. She also sings her own songs, a variety of historical and good-time “chorus” songs, and many old-timey country numbers. 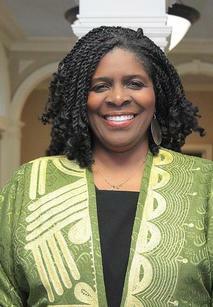 ​Saro Lynch-Thomason is an award-winning ballad singer and activist from Asheville, NC. As a child she became attracted to British folk revival music, learning ballads from recordings of singers like Sandy Denny and pop-balladeers like Sinead O’Connor. While at college in New York, away from her native Southern climes, she was introduced to Appalachian song traditions. She moved to Western North Carolina in 2009 to learn from (and eventually perform with) traditional singers like Sheila Kay Adams and Bobby McMillon. In 2012 Saro completed Blair Pathways: A Musical Exploration of America’s Largest Labor Uprising--a researched compilation of over 20 historic songs from West Virginia’s labor wars. 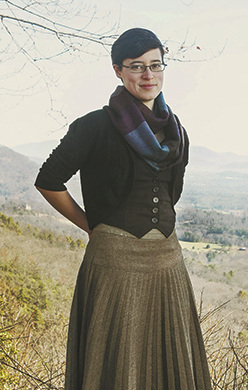 A strong traditional song leader, Saro has led the Asheville Community Sing since 2010 and she regularly teaches regional ballad workshops, Wassailing choruses, and May Day choruses on social justice themes. In 2013 Saro completed her solo CD Vessel--a 100% a cappella compilation of ballads and songs from Appalachia and the British Isles. Saro believes that solo and group song can provide powerful forms of inner therapy and outward social empowerment. She enjoys teaching song as a way to educate about historic rights struggles in Appalachia and beyond. Listen below to a recording of Saro singing “Guide Me O Thou Great Jehovah” from her 2013 CD Vessel. Jeff Warner performs songs from the lumber camps, fishing villages and mountaintops of America that connect 21st-century audiences with the everyday lives—and artistry—of 19th-century Americans. His songs, rich in local history and a sense of place, bring us the latest news from the distant past. Jeff grew up listening to the songs and stories of his father Frank Warner and the traditional singers his parents met during their folksong collecting trips through rural America. He accompanied his parents on their later field trips and is the editor of his mother’s book, Traditional American Folk Songs: From the Anne and Frank Warner Collection. He is producer of the two-CD set, Her Bright Smile Haunts Me Still, the Warners’ recordings of rural singers, many of them born in Victorian times. Jeff has performed widely, from large festivals in the UK, to clubs, festivals and schools across America. He plays concertina, banjo, guitar and several “pocket” instruments, including bones and spoons. A native of New York City, Jeff has lived in Portsmouth, NH, since the late 1990s. He has toured nationally for the Smithsonian Institution, taught at Pinewoods, Ashokan, Augusta and Swannanoa summer music programs and recorded for Flying Fish/Rounder, WildGoose (UK) and other labels. Listen below to a recording of Jeff singing “The Southern Girl's Reply” from his 2005 CD Jolly Tinker. Bennett Konesni is a worksonger, farmer, musician, designer, planner, administrator, dreamer. He's 31 years old and based out of Midcoast Maine, where he grew up, and also at Sylvester Manor on Shelter Island, NY, where parts of my family have lived since 1652. He's been singing while working since he was a teenager working on schooners in Penobscot Bay in Maine—his crew aboard the J&E Riggin won the schooner bum talent show with a hip-hop version of the sea shanty classic "Blow the Man Down." Bennett's curiosity about worksongs became more serious when he began working at Quail Hill Farm in 2001; he sang sea shanties while weeding beans. At Middlebury College, he wrote a thesis based on research into Zulu worksong traditions done while studying abroad in South Africa and involving a workshop at the Middlebury College Farm in 2004—one of the first worksong-specific workshops on an American farm. After graduating, Bennett studied musical labor on three continents thanks to a Thomas J. Watson Fellowship: musical fishing in Ghana and Holland, singing and dancing farmers in Tanzania, and livestock songs in Mongolia and Switzerland. He wanted to learn how worksongs fit into life in a variety of contexts, how song leadership and group dynamics worked. Since 2007, Bennett has been using worksongs at Sylvester Manor Educational Farm, collaborating with his crew to learn new songs and figure out how music could fit into a serious working farm. He teaches workshops at farms and farm conferences across the Northeast, and has even been invited with his wife Edith Gawler to TEDxFruitvale to share a song. Craig Edwards was raised in a singing family in western North Carolina and Virginia. From childhood singing with family, in church choirs, and at civil rights marches, he went on to study ethnomusicology at Wesleyan University, where he now teaches traditional fiddle styles. He has sung in Old Time, Folk, Irish, Cajun, Rockabilly, Swing, and Bluegrass bands, mastering guitar, fiddle, banjo, mandolin, and button accordion along the way. For many years he worked as a staff musician at Mystic Seaport and toured internationally with the influential sea music group Forebitter, largely responsible for reviving awareness of the African-American influence in maritime music. From this eclectic musical background he brings insight into underlying connections among seemingly disparate traditional styles. Read more about Craig Edwards at fiddlecraig.wix.com/craigedwards. Listen below to a recording of Craig, Geoff Kaufman, Rick Spencer, and David Littlefield singing “Blow Liza Blow” with the Mystic Seaport group Forebitter. 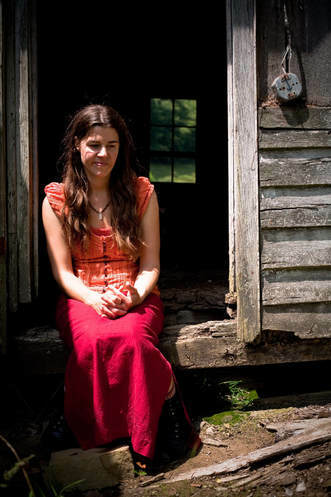 Elizabeth LaPrelle has been performing Appalachian ballads and old-time songs since she was eleven. Her magnificent voice, her respect for the songs, and her authentic mountain sound and style brought her to the attention of first Ginny Hawker and then Sheila Kay Adams. Raised in Rural Retreat, Virginia, Elizabeth attended old time fiddlers’ conventions and sang harmonies with her family, who taught her traditional singing styles and encouraged her to sing their own favorite American folk music. She received her undergraduate degree from the College of William and Mary with a major in Southern Appalachian Traditional performance, and now tours the US regularly both performing and teaching. Suzannah Park comes from a family of three generations of ballad singers, storytellers, and dancers. 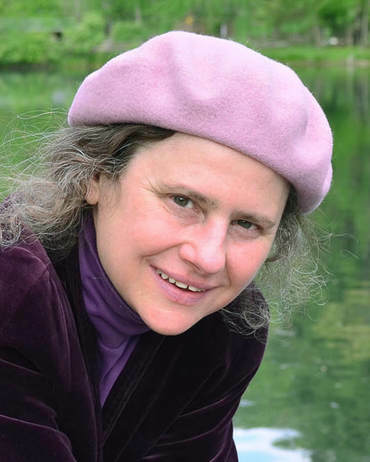 Her joyous and intuitive teaching style, born of a lifetime of familiarity with American folk music, makes singers old and young alike feel at home in the songs that she shares and with each other. Whether she’s teaching ballads, Bulgarian village songs, or Appalachian clogging, laughter and good times abound. When not on tour, Suzannah lives in the North Carolina mountains of her birth. Listen below to an arrangement of a ballad she created and sings with a member of her trio, Gideon Crevoshay. Riki Schneyer has been making music and art since before she could stand up. Born in Buffalo, NY to a family of musicians, visual artists, and activists, her music and art reflect the cross-section of multicultural influences that have permeated her life. She is particularly interested in unaccompanied singing, especially from the African American, Appalachian, and British Isles traditions, and both her music and her visual art reflect her passion and intensity. She has toured as a musician and singer for most of her life, and has performed on stages all over the country, including with her mother, late folksinger Helen Schneyer. She has recorded with a motley crew of folks, and was the lead singer for a Washington Revels show based on traditional Quebecois music. Of late, she is finally finishing up her long overdue solo recording, and spends a lot of time dressed in a corset and feathers, performing with her dear friend Jennifer Cutting in a bawdy songs show, “Hey, Sailor.” Having retired from a 30-year career as a psychotherapist, Riki is particularly interested in the intersection of the arts and psychotherapy: She is firmly convinced that music-and-art-making are transformative, and enhance mental health and community building. She is happily married to a singing geologist, and has one extraordinary daughter, two extraordinary step-children (one daughter, one son), and an enthusiastic poodle named Arlo. She loves singing to her very depths. Listen below to Riki singing "Children of Zion"
Musician, scholar and educator Bob Walser’s musical career spans decades and continents. In the early 1980s he made his living as a shantyman (!) at Mystic Seaport, one of the largest maritime museums in the USA. Since then he has presented Folklore In Action folk music and dance programs as an artist-in-residence in schools across the USA, and performed as a singer, dance leader and dance musician from Maine to California and overseas. As a scholar, Bob earned his Ph.D. in ethnomusicology at the University of London, School of Oriental and African Studies. His folk music and education research has been published in the Folk Song Journal (UK) and publications by World Music Press. In addition, he has three CDs for The Old and New Tradition label to his credit as well as guest appearances on another dozen recordings in the US, France and England. In other words… Too many people in the space, all singing their hearts out. Improvised harmonies (some elegant, others rough), swept away on a sea of song. I love singing with people! My perpetual quest is for the song of the moment that draws the group together and nearly overwhelms the senses. You get the idea – let’s do it! Listen below to a recording of Bob singing "Nothin' But a Humbug" from his album When our Ship Comes Home. 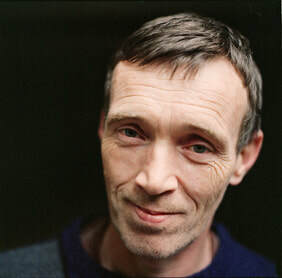 Ian Robb’s passion for old songs developed in the English folk clubs of the 1960s, where he developed the useful ability to project his voice across the noisy back room of a pub. He emigrated to Canada in 1970 and since then has become a leading singer and “writer of old songs” on this side of the pond, helping to spawn many influential groups, including the internationally acclaimed harmony trio, Finest Kind. A powerful singer and arranger of traditional/roots music – sea songs and chanteys, gospel, blues, ballads, and worksongs, Ken Schatz performs regularly at folk music clubs, festivals, and concert venues. Ken’s singing credits include concert performances and teaching workshops for Mystic Sea Music Festival, Old Songs Festival of Traditional Music and Dance, Portsmouth Maritime Folk Festival, Washington Folk Festival, Workum Chantey Festival (Netherlands), Scarborough Seafest (UK), Folk Music Society of New York, Folklore Society of Greater Washington, South Street Seaport Museum, San Francisco Maritime Museum, Columbia University, Caffè Lena, Minstrel Coffeehouse, Jalopy, Parkside Lounge, Fast Folk Café, various folk clubs in the United Kingdom, and Gorilla Repertory Theater’s Talking Jazz. Ken has designed vocal scores for several theater projects, including B.H. Barry’s production of Treasure Island, and performed with many world-renowned musicians, including Heather Wood, Tom Paxton and Anne Hills, John Roberts and Tony Barrand, Jeff Warner, Louis Killen, Jay Ungar and Molly Mason, Chris Barron of The Spin Doctors, Karan Casey and Solas, Gordon Bok, Sandy and Caroline Paton, The Burns Sisters, Jean Ritchie, Elizabeth LaPrelle, Barry Finn, The Barrouallie Whalers, The Buckingham Bar Lining Gang, Martin Carthy, Utah Phillips, and Liam Clancy. Ken is a renowned acting teacher and coach, actor, and director, and the host of Exceedingly Good Song Night in New York City. Fiddler and folk singer Lissa Schneckenburger grew up in Maine as an active member of the folk community, where she learned to play at the feet of some of the most venerable musicians in New England. She has continued to explore music throughout her life, leading to her graduation from The New England Conservatory of Music in Boston, Massachusetts (2001). Lissa has played all over the world, including appearances in Russia, Holland, Belgium, Sweden, Denmark, Canada, and the United States. Recently she has been studying the roots of the Downeast traditional music she first heard as a young girl. Her latest project is a pair of CDs dedicated to reintroducing some wonderful but largely forgotten songs and tunes from New England that she uncovered through archival research at the University of Maine and elsewhere. One of these independently released recordings, “Song,” contains ten timeless ballads that go back as far as the eighteenth century that she set to carefully crafted modern arrangements. While embracing a diverse pallet of musical influences, she still stays true to her New England roots.